In a twisted tale of history and modern fiction, Ashwin Sanghi meshes the intricacies of a past event with the deranged effect it may hold in a future happenstance. Starting with the life of a legend many of us have read about or at least heard about, the author manages to engage the reader with a situation, resultant from the past exploits of the legend, leading to a milestone in the fabric of Indian Politics. 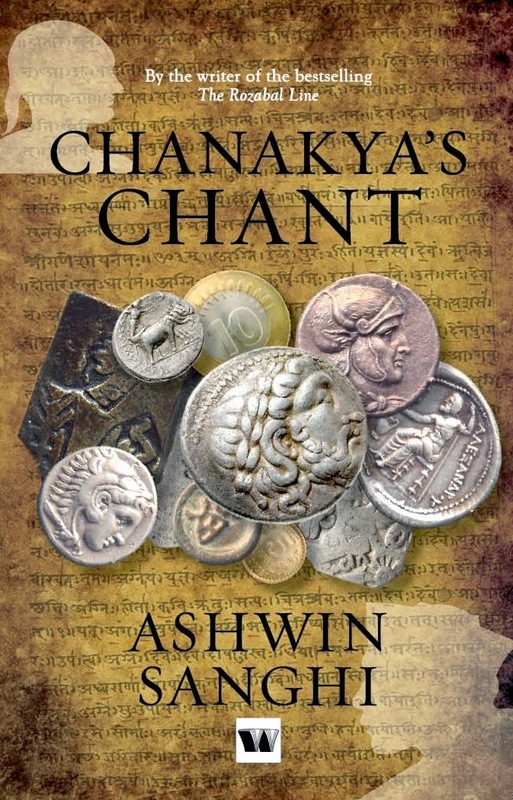 As disclaimed by the author, if you are looking for historical accuracy with the life of Chanakya, the fabled genius who gave birth to the rebellion against ancient invaders, the likes of Alexander III of Macedonia, you are not in luck here. The story mixes fiction with facts to create something that a writer can be proud of. The story begins in a world not many can imagine with such picturesque accuracy. The world in description is Ancient India. A divided world, India is described as a war ground where disunity strays rampant, leaving the doors of the ancient world open to invasion. Amongst this chaos, a little child is shown to possess intelligence that is not to be taken lightly by any means. This child is none but the fabled Chankya. Stories have been told of the unison of Chanakya’s brains with the brawn of another figure in history, the first emperor of a kingdom which spans much of today’s India. The kingdom, Magadha, is known as one of the first kingdoms to have united the subcontinent. With the might to rival the armies of divinity, this kingdom boasts of one of the best remembered reigns belonging to the times in question. This is where the author stakes his claim on the history. The famed king of the Maurya Dynasty, Chandragupta Maurya, is depicted as the son of the commander-in-chief of Magadha’s army and not the child of the wandering Maurya Clan. History is used by the author to describe the point of story till which Chanakya loosens his tuft of hair, and vows not to tie it back till the Nanda Empire falls and from its ashes, raises the platform for a united Bharat. Then on, it’s a play on words to enrapture the already enraptured minds. As the point in chronology shifts, the sights are set upon a modern India. A adolescent boy is shown, discovering an ancient plate, etched upon it, the chant of Chanakya. At this point of the story, it is not shown where the chant originates from. The sad story of the incantation’s roots in a curse is revealed much later. This boy, Gangasagar Mishra, is then shown to become a political kingmaker, akin to Chanakya’s ability in the past .Though note realising that his actions are resultant from the events of the past, the man goes on to weave his destiny in the modern day politics. Where political leverage is key to success, the man decides at the beginning of his life, the course of his life. He selects a girl, one who has a humble beginning, and moves her life in his desired direction. Though the girl believes that her life is her own, little does she realise that it is one that is plotted by Gangasagar till such a point that he succumbs to death, and beyond. Her simple upbringing is chastised into a sophisticated outlook, still maintaining her core values. He gives her dreams of power and position, and ensures he fulfills them. The society’s greed and unquenched thirst for power is shown as the problems of ancient India. The same is counteracted by the desire of position, religious divides and corruption of modern India. In the fashion that Chanakya manipulates vanity and greed of the mighty, yet fallible kings of the past, Gangasagar exploits the disunity of a modern India to create political unity to serve his needs. However, the darker sides of the characters are also in play here. Chanakya’s alter ego is shown to be the benefactor for assailants and mercenaries and also poison maidens. With elaborate plans, and a future insight, Chanakya utilises the personality of men and the predictability in their behavior, to scheme his plots and execute them to perfection. He and his aides carry out the various courses of decided actions with textbook perfection. Chanakya anticipates every possible outcome with precision. Had he played a game of chess, it would have been checkmate with the minimum possible moves. Or rather, in this case, it would be moves after moves to deplete the opponent’s pieces with nothing put pawns and a one higher piece, rendering the opponent useless at every stage of the match. On the modern side, Gangasagar schemes things with nothing lesser. He carries out killings, decides what course a person’s life takes, how it moves, what debt a person should owe to whom, and at what time, moves pieces of his chessboard to and against his designated king at his will, and what not. Both times end with the desired results of the gentlemen behind the scenes. Chandragupta reaches his pinnacle and the girl reaches the top of the upper echelons of the nation. Both the conspirators end up losing their personalities and values all in the name of the greater good. Their lose their loved ones, one resulting in the curse/chant that incites the other into the raising of the girl to supreme power, losing his life and the end of the road. The writing is profound and keeps a reader in an anticipatory and a receptive state till the author concludes his diction. Individually, the plots are known to the readers beforehand as both the stories are repeated in the history of politics. Where this book creates a difference is the connection between the two stories. How one story is connected to the other by a plate and a chant inscribed on the plate, is truly intriguing and infatuating to read. The obvious reference to the highly regarded political drama, “Yes Minister”, is welcome and tingles those fantastic memories one has of the series. The author pays proper and an untainted homage to the series. If there is a snag in the execution, it is the use of the quotes in the series as intermittent fillers. When one disregards the lines copied from the erstwhile “Yes Minister”, one can still enjoy this good read.